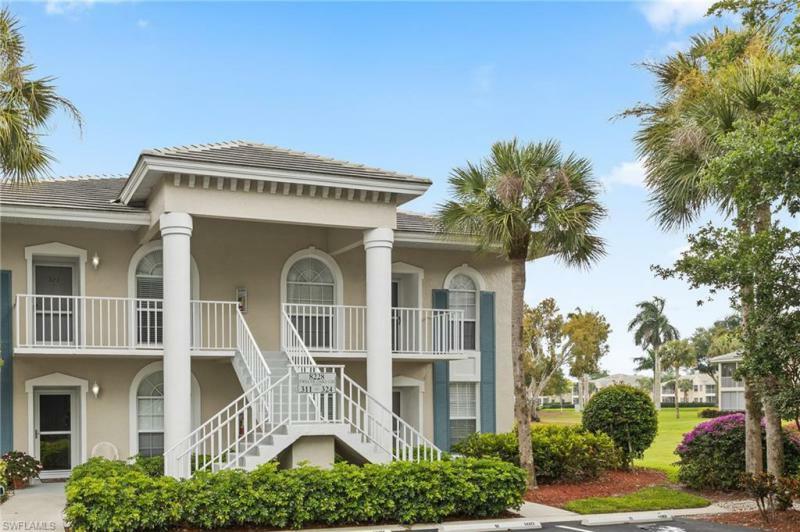 This well maintained and tastefully furnished second floor end unit is in an ideal location at the champions offering both lake and golf course views. The low density complex of the champions is located in the gated section of lely resort called mustang island. The condominium offers a huge floor plan with two bedrooms and a den/dining room, three bathrooms, an expansive bonus room which works as a separate guest suite, an elevator, and a two car garage. Beautiful first floor luxury condominium with serene views of comforting waterfalls and large landscaped area. This three bedroom (third room can be used as den or bedroom), two and one half bath condo is nearly 2100 square feet and has an attached two-car garage. The upgrades and are extensive and high quality they include impact resistant doors and windows throughout, custom paint features, upgraded appliances and tile. Located directly across the street from the world class players club and spa this home is truly a must see! Spectacular sparkling lake views from this almost 2500 sq. Ft. , second floor condominium in gated saratoga, within lely resort. 3 bedrooms, den, 3 bath with private elevator. Plenty of natural light streams through this open and spacious, split floor plan. You will love the view from the lanai. Volume ceilings and a second master suite or use as media room. This beachy condo is a must see with serene and expansive views, furnishings, plantation shutters, nice light neutral tile and new carpet in bedrooms. The kitchen features a breakfast area with views and an island with storage, and is open to the living area and beyond to lanai. 2 car garage, bonus storage closet in garage with shelving. Beautiful community pool and clubhouse for social events and sunning. Lovely curb appeal, pretty neighborhood. Low fees here and membership to the top notch lely players club is available but not mandatory. Must see! Million dollar resort lifestyle for less than 1/2 the price. Must see! If it's view you are looking for, this is an immaculate, well maintained second floor condominium that will be your florida dream home answer. From your lanai you have an expansive golf course vista of 3 of the flamingo's holes. You are close to the action on the 13th green and can see 15 fairway off in the distance. Looking just a little to the left is a never ending view of hole 14, you can see all the way to the green. The lanai also has a built-in electric grill which is vented to the outside. Another great plus to this unit is that it is just a short distance to the community pool. Players club and classics golf club memberships are available and optional. There are electric roll down hurricane shutters for storm protection and security. Motivated sellers!!! Currently one of the lowest priced homes in ol. Lowest price santa monica on quad 1!! This well-kept home features granite counter-tops, diagonal tile in the living areas and carpet on the stairs and throughout the second floor. The kitchen is nicely designed to accommodate a breakfast table or use as a convenient work-space (as shown). All the windows and doors are impact resistant. The highlight of the ol community is the 20,000-square-foot village center which includes a resort-style pool, kiddie pool, spa, english pub, ice cream counter, bistro, fitness center, movie theater, tennis, basketball courts and more! All this is included with your condominium fees! Ol is a featured neighborhood in the award-winning community of lely resort. It is conveniently located close to shopping, restaurants and a short drive to downtown naples and marco island. Wonderful first floor two bedroom plus den condominium set alongside the flamingo golf course at verandas located in lely resort. This property has been freshly painted, new air conditioning (4/19) and new carpet installed and is ready for a new owner. Residents of verandas have access to their own community pool and tennis court as well as optional memberships for the players club and spa as well as the classics golf and country club. 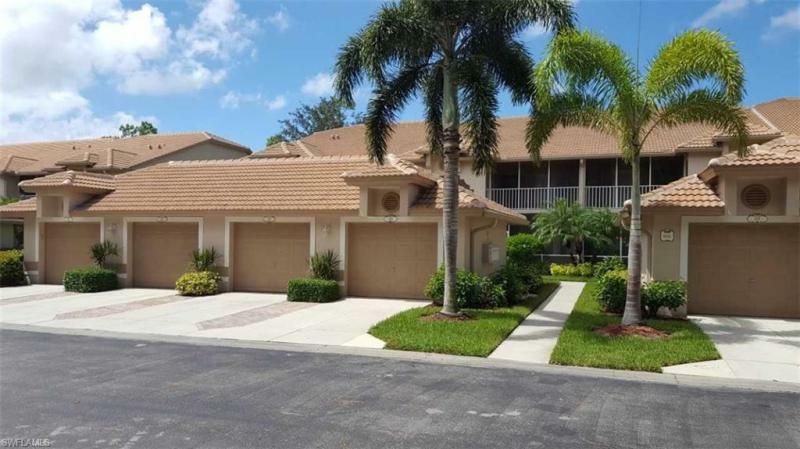 C. 15934 - perfect location & view from this 3 bedroom, top floor end unit in the highly desirable neighborhood of eaglewood of lely! Overlooking a tranquil natural setting with a view of the royal palm golf course. Included with the condominium is a deeded covered carport and an additional assigned parking space right outside your front door! Well maintained with newer a/c, wet bar, laundry in residence, screened lanai, extra storage, spacious bedrooms and an eat-in-kitchen. You'll love being in this naturally bright end-unit, just steps to the community pool, large grassy area between the buildings and the golf course view! Minutes to the world-class shopping and dining districts on 5th avenue south and 3rd street south, beautiful beaches, tournament golf courses and all the conveniences one can imagine. Don't miss this opportunity! Perfect for those looking to downsize, buy a second home or seasonal rental. This is indeed a rare find, a 3 bedroom end unit with covered parking in a well-managed and financially sound condominium association!! Come explore this second floor condominium in the heart of lely resort. Located within the gated community of twelve oaks, this two bedroom, two bath residence is ready for new owners. Set just off the second green of the flamingo golf course, the community offers a nice clubhouse, pool as well as two tennis courts for owners. 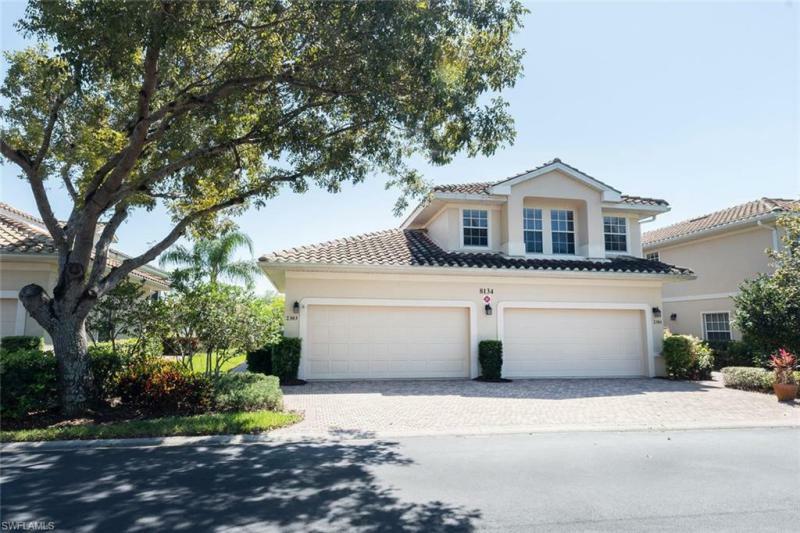 A close-to-everything location in naples, this luxury community has three championship golf courses, the players club & spa and a cosmopolitan atmosphere that has made lely resort one of the most sought-after naples communities.